1. Dissolved oxygen. Aquatic organisms need dissolved oxygen to survive, low dissolved oxygen levels can cause growth and reproduction to be impaired and even kill aquatic organisms. The level of oxygen drops when the organic waste in the water increases. This happens because microscopic organisms (decomposers) break down the organic waste and at the same time use up the oxygen. 2. Temperature. The temperature affects a couple of things. The warmer the water gets the less oxygen it can hold. Many aquatic organisms need certain temperatures to live, if water temperatures change too much, many organisms can no longer survive. 3. Conductivity The conductivity measures the ability of the water to pass an electrical current. Conductivity in water is affected by the presence of inorganic dissolved solids such as chloride, phosphate, and nitrate. 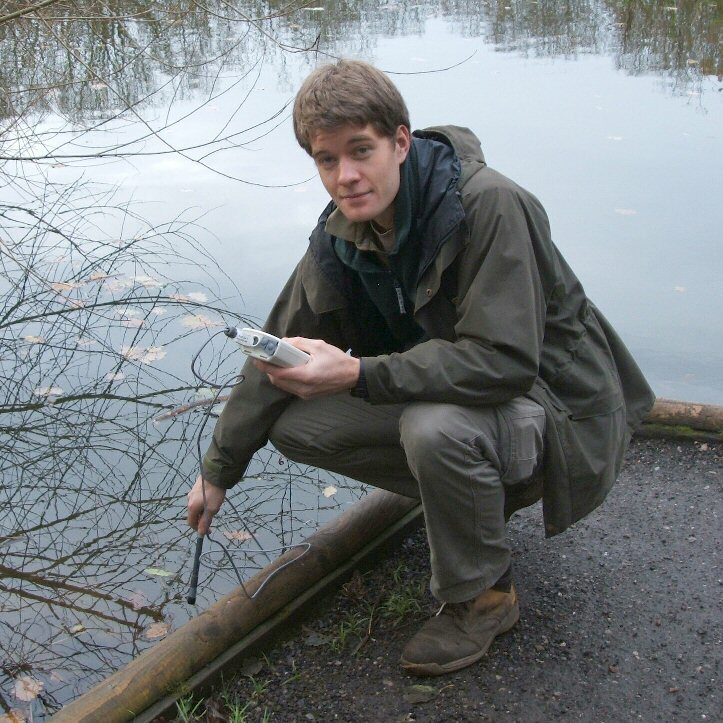 A high conductivity reading would tell us that the water is not suitable for certain aquatic organisms. 4. pH (acidity) At high and low pH levels the water becomes unsuitable for most organisms and can be lethal. Most aquatic organisms adapt to a specific pH level and are very sensitive to changes, they may not survive if the pH of the water changes. The surveying of the dibbinsdale brook will take place between 1st January 2012 and the 31st March 2012. If you see the surveying taking place please feel free to come and ask any questions. The project aims to investigate the impact of the outflow pipes and road runoff channels on the water quality of the Dibbinsdale Brook. The Dibbinsdale Brook has already been categorised in 2009 by the ‘Environment Agency’ as having ‘poor ecological status’. In light of these results, I will be looking at the extent of the impact from these pipes and channels, and examining if the pipe and channel location show results in dissolved oxygen, conductivity, and pH levels. Specifically, it is my hope that I will be able to locate a pipe or channel which is contributing more than others to the poor water quality. This will then allow me to ascertain the impact source; for example pollution from suburban areas, road waste, or local landfill. The Environment Agency is currently responsible for protecting and improving the water environment in England and Wales. In December 2000 the European Water Framework Directive (WFD) was introduced and it became UK law in December 2003. The WFD aims “to protect all elements of the water cycle and enhance the quality of our groundwaters, rivers, lakes, estuaries and seas” (Environment Agency, 2011a). The Environment Agency has drawn up River Basin Management Plans for all the river basin districts within England and Wales. These management plans focus on the current ecological status of each river and how they can be improved to a ‘Good’ status by 2015, if a ‘Good’ status cannot be reached by 2015 justification is given and the overall objective is to achieve the ‘Good’ status by 2027, these are all standards set out in the WFD (Environment Agency, 2009a). The Dibbinsdale Brook falls into the North West River Basin District Management Plan. The management plan gives a breakdown of the ecological status, risk of pollution, and protected areas of the waterbody the Dibbinsdale Brook belongs to. The current ecological status is Poor and the predicted ecological status by the 2015 target is also Poor. The EA justification for not achieving a Good ecological status by 2015 is that it will be disproportionately expensive and technically infeasible (Environment Agency, 2009a). Diffuse Pollution – sediment, and phosphorus from agriculture. Source Sanitary – ammonia, and biochemical oxygen demand. The waterbody is classified a protected area under the Nitrates Directive. A protected area is “designated as requiring special protection under specific Community legislation for the protection of their surface water or groundwater or for the conservation of habitats and species directly depending upon water.”(Defra, 2005). The Nitrates Directive requires the Department for Environment, Food and Rural Affairs (Defra) to identify any agricultural sources that are causing surface or ground waters to be high in nitrates. These areas are designated as Nitrate Vulnerable Zones (NVZ); farmers within the NVZ must observe recommendations set out by DEFRA including restricting the timing and application of fertilizers and manure (Environment Agency, 2011b). There are five points that have been identified where it is possible that polluted water is entering the Dibbinsdale Brook. One is from the direct road runoff from Spital Road, three are from urban runoff coming from local urban areas, and one is from a land drain underneath Spital field which is an historic landfill site. The runoff from the road and urban areas is any water that has not been able to penetrate into the ground. The urban runoff going into the Dibbinsdale Brook comes from a number of different houses and roads within nearby areas. This runoff is visibly turbid, most likely because of household appliances that have been wrongfully linked to the drainage system. The road runoff is from a single drainage point along the road that runs directly into the river. The runoff going into the Dibbinsdale Brook can carry a mix of various polluting substances such as oils and hydrocarbons, sediments, toxic metals, and oxygen-depleting substances. This water is not treated before entering the Brook therefor it can reduce the water quality and be harmful to aquatic organisms (Environment Agency, 2011c). Spital field is the site of Spital Road Tip a historic landfill site. Landfill sites will produce a ‘leachate’ this is a polluting liquid that can contain substances such as ammoniacal-nitrogen heavy metals and organic compounds as well as other suspended solids all of which are harmful to aquatic organisms (Environment Agency, 2001) The EA have no regulatory control over closed historic sites due to their permits being surrendered (Environment Agency, 2009c).